Hi friends! I hope you're having a great day. I'm recovering from my procedures and I'm still awaiting test results. In the meantime, I'm having a hard time taking it easy since there's just so much to do around here. And I'm sharing a card I made a while ago for a publication call that wasn't picked up. I decided not to submit it again because I'm not in love with it. However, I still think it's a cute card for sending to a friend or relative for Christmas. 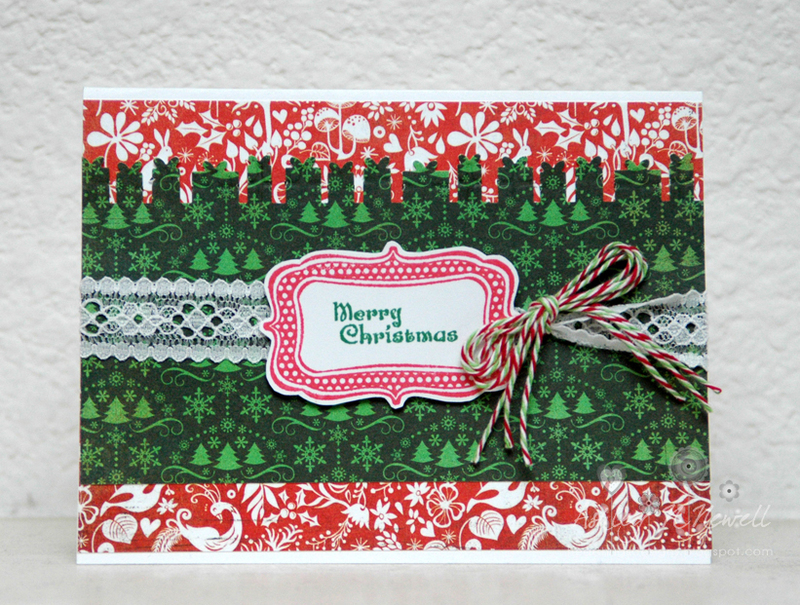 I used My Thoughts Exactly Holly Jolly Tags for this card. The paper is Basic Grey Nordic Holiday. 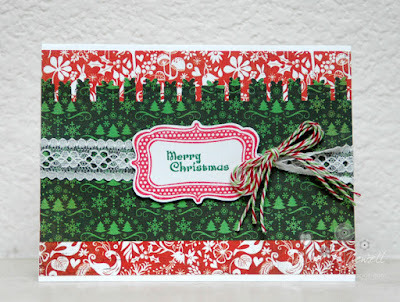 I used May Arts lace and Holiday Divine Twine for this. The punch at the top is from Martha Stewart. Your card is beautiful Ashley! Off to vote for you! I did like the pic my lovely! So cute! That card is great! So bright and fun! Miss u to bits!